Located around a kilometer off the east coast of island number 3, this exposed series of submerged boulders often attracts larger visitors. There is little coral growth around the mini mountain range but more algal presence attracting nudibranchs and spanish dancers. 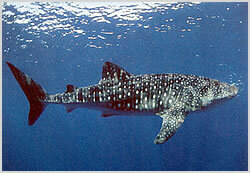 Patrolling barracuda are common and at the right time of year whale sharks and mantas have been seen here.